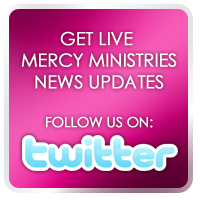 Mercy Ministries News: Mercy Ministries on the Church Conference Circuit!! 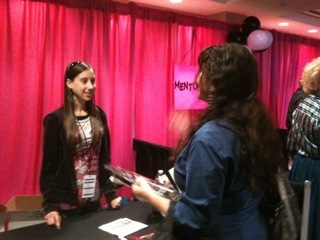 Mercy Ministries on the Church Conference Circuit!! To read more about Nancy’s weekend, check out her blog post at nancyalcorn.blogspot.com. Earlier this month, nine Mercy graduates participated in Pink Impact, an annual women’s conference hosted by Gateway Church in Southlake, TX. These inspiring graduates hosted the Mercy booth, handed out resources and answered questions about the Mercy Ministries program. 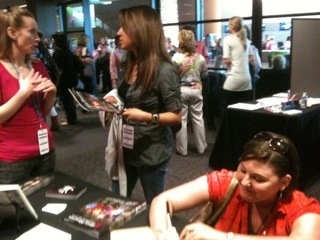 They also loved hearing from some amazing speakers at the event, such as T.D. Jakes, Priscilla Shirer and Charlotte Gambill. Charlotte is the Senior Associate Pastor at Abundant Life Church in Bradford, England. The Gambill’s and Abundant Life had the vision for and helped open our UK Mercy home. 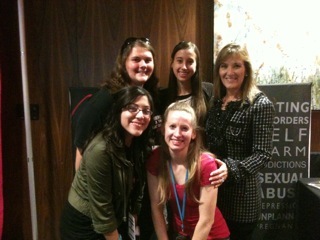 Mercy Ministries was also excited to send our Volunteer Directors of Student Relations for EndSexTrafficking.com to the ARC Conference with Mercy Director of Development, Selah Hirsch. This conference for church leaders and church planters across the country featured inspirational speakers like Mercy supporter Pastor Dino Rizzo of Healing Place Church, Pastor Greg Surratt of Seacoast Church, and Pastor Chris Hodges of Church of the Highlands. These church leaders really know how to equip and encourage pastors and church planters to grow in ministry. Coming up in May, Nancy Alcorn will be the featured speaker at the 2011 Women’s Conference, “You Are Beautiful - You Are His,” at Living Word Family Church in Wake Forest, NC. If you are in the area, you won’t want to miss it! To see more of the events on Nancy’s schedule, CLICK HERE. We’d love for you to come hear more about the work of Mercy Ministries and the young women who are having their lives transformed and hope restored!